Relying heavily own dumb punch lines and cheesy skits (including terrible voiceover impressions of such celebrity voices as Morgan Freeman, Peter Griffin and Joe from Family Guy, Jason Statham, and Optimus Prime - for a reason that I’m still trying to figure out.) Comparisons to Hopsin immediately jump to mind, which is rarely a good thing. 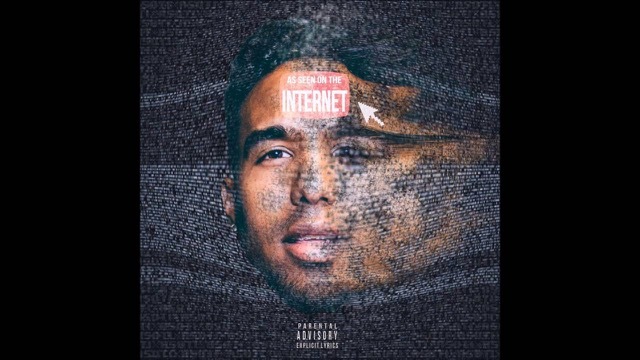 Painfully self-righteous and unfunny, if As Seen on the Internet was half as good as Futuristic thinks it is, it would be the album of the year. Unfortunately for him, and for me, it is not good. Instead it is aggressively mediocre, with hits of competency leaking out from behind the veneer built on cringe inducing lines. He can rap quickly. His technical chops are present, it’s pretty impressive, but he leans too heavily on this crutch to carry the album, and it simply can’t hold up. The rhyme scheme is basic, to say the least. The punch lines are too frequent and half-baked. The subject matter is all over the place, centering only on being juvenile. It goes from begging for nudes from a girl in one song, to complaining about people using their phones too much. It tries to be smart, and it fails. I’m disappointed in him. I first heard Futuristic about a year and a half ago, and I thought that he had a lot of promise, with brimming technical skill and a bit of unique flavor that could make him stand apart. And while he does stand apart, it is for entirely the wrong reason. It seems like nothing about him has changed, except for the size of his ego. Maybe this album should have stayed on the internet.